Nissan Leaf holds value better than Chevy Volt, Toyota Prius | "Global Possibilities"
If you drive a Nissan Leaf and aren’t completely satisfied with it, now’d be a pretty good time to sell. That’s the conclusion of the National Automobile Dealers Association (NADA), whose most recent guide indicated that the battery-electric Leaf holds 95 percent of its value after a year, according to Automotive News. By comparison, a Chevrolet Volt extended-range plug-in holds 90 percent of its value and a Toyota Prius hybrid holds 88 percent of its value, the publication said. In real terms, though, the Prius comes off looking like a better value because the Leaf and Volt numbers subtract the $7,500 federal tax incentive to get the “new car” price. Either way, Volt and Leaf values are expected to fall a bit later this year because rental car companies that bought them new will start selling them back into the used-car market, giving the supply chain a big boost. 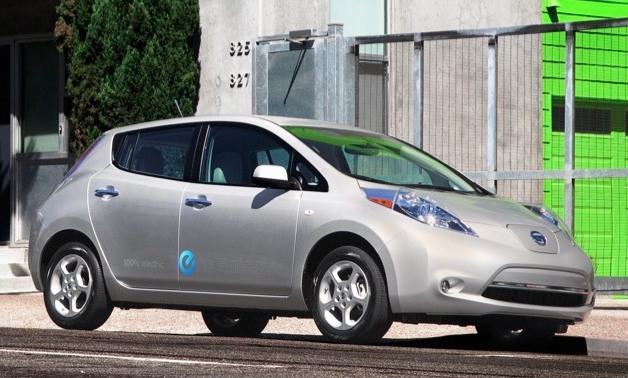 In the first four months of 2012, Nissan sold 2,103 Leafs in the U.S., twice as many as it did a year earlier. Nissan, which sold about 9,700 Leafs in the U.S. in all of last year, is set to release May sales figures later today.